-Print, Chop, and Laminate rhyming leaves. 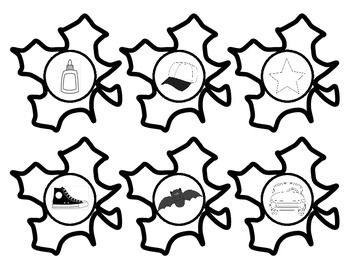 -Print and Laminate Leaf Collection Activity Mat. 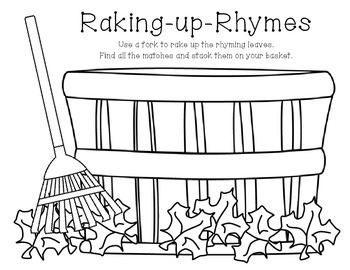 -Students spread out their rhyming leaves and use rakes (plastic forks) to "Rake up Rhymes". 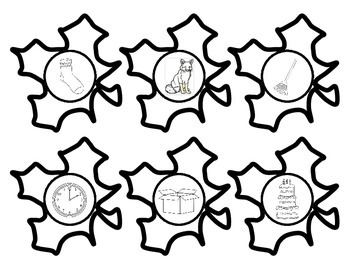 -As students find and collect their rhymes, they can stack them on their Leaf Collection Activity Mat. 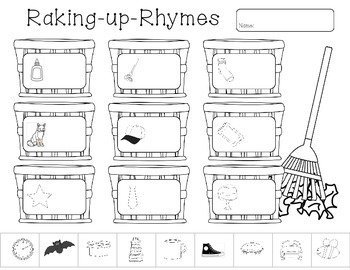 -As an extension or assessment, students can complete the Cut & Paste activity to show the rhyming pairs they collected.